Editor’s Note: This post is presented in partnership with Time Warner Cable Movies On Demand in support of Indie Film Month. Today’s pick, “Glassland,“ is available now On Demand. Need help finding a movie to watch? Let TWC find the best fit for your mood here. Although often overlooked by its neighbors, Ireland has a rich and great film history besides the stereotypical ideas of leprechauns and Riverdance (although who doesn’t love Riverdance). 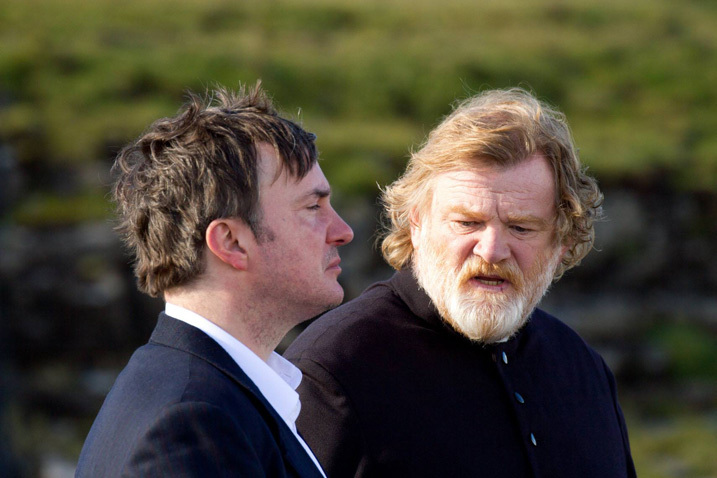 The 21st century has churned out some great Irish movies, especially in the past couple of years. We have also seen the rise and continual excellence of many Irish performers and filmmakers, like Cillian Murphy, Saoirse Ronan, John Carney, Domhnall Gleeson and his father, Brendan Gleeson, Michael Fassbender and Lenny Abrahamson. Below are eight essential Irish movies to get you all caught up on everything the emerald isle has to over film fans. Although it is bathed in sentimentality, “In America” is a moving story of an Irish family struggling to make their start in New York City. It clearly and blatantly tries to make you laugh, cry and feel, and luckily it succeeds in a way that never feels cheesy. If you left yourself get swept away in the moment, “In America” will surprise you with its perceptive ability to portray the hardships of being far away from a beloved home. Tackling difficult and heavy topics like religion, drugs and death, “In America” remains an uplifting movie, offering condolences and hope at the end of the film. Returning to the always rousing theme of independence and revolution, “The Wind That Shakes the Barley” follows two brothers during the Irish War of Independence and the Irish Civil War, although its accuracy has been contested. Nevertheless, the movie goes deep into the ideals of social versus political motives behind the two wars, digging deep into the essence of what inspires and diversifies Ireland. 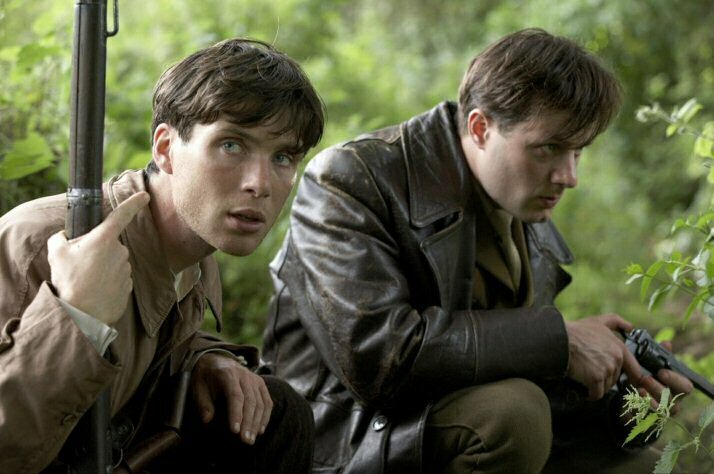 Themes of class struggle and nationalism are what drives “The Wind That Shakes the Barley,” and features a stunning, star-making performance from Cillian Murphy. While it may be good to take its historical accuracy with a grain of salt, the film’s themes and romantic idealism is hard to shake. The unexpectedly wonderful musical drama only won the Academy Award for best original song for “Falling Slowly,” but was a great outing for writer-director John Carney and a fine addition to Ireland’s film canon. A surprise hit, “Once” was also turned into a Tony Award-winning musical, which is still largely popular on Broadway. However, Carney allows “Once” to speak for itself in film through the musical relationship between the two main characters as they parade through the streets of Dublin, evoking an emotion and experience similar to “Before Sunrise.” The touching songs, sensitive dialogue and urbanized setting create a unique and romantic experience that helped to solidify “Once” as one of the best films to come out of Ireland in years. Another brilliant debut from a first-time director, and now Academy Award winner, Steve McQueen, “Hunger” brought both McQueen and Michael Fassbender to the forefront of cinema. Fassbender stars as Bobby Sands, the IRA volunteer who led the second hunger strike from prison during the 1970’s. By taking an important and emotionally gripping moment from Ireland’s history, McQueen was able to take this uncompromising story, and make it human, reflective and provocative. Bobby Sands’ story elevated the ability of people to overcome difficulties both mentally and physically, and Fassbender was able to bring the much needed determination and endurance to his character. Aside from being a solid and powerful piece of work, “Hunger” brought together the dynamic duo of McQueen and Fassbender. One of the few animated films to come out Ireland, “The Secret of the Kells” goes to the roots of Irish mythology to create an enchanting and visually ornate movie. 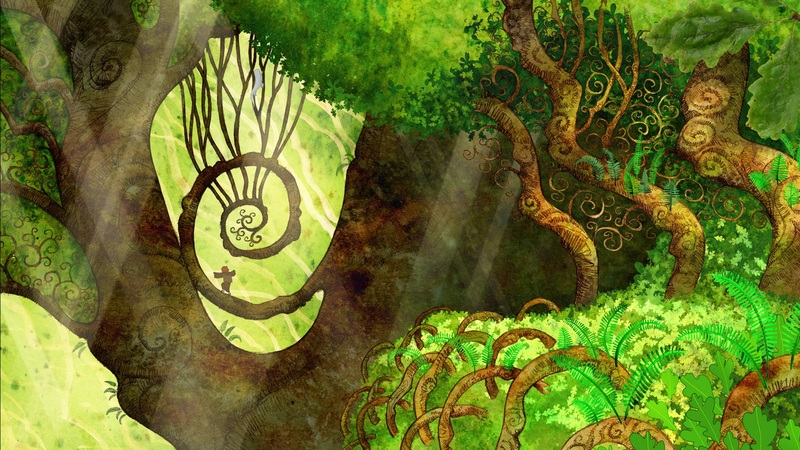 Both the visuals and storyline draws influence from Celtic design and culture, and can be seen as the Irish version of the Japanese Hayao Miyazaki’s film. Like Miyazaki’s movies and other animated films, “The Secret of the Kells” may even be more enjoyable for adults instead of the intended audience of children, since the plot and themes draw parallels between “The Book of Kells,” “Beowulf” and other literary and religious texts. 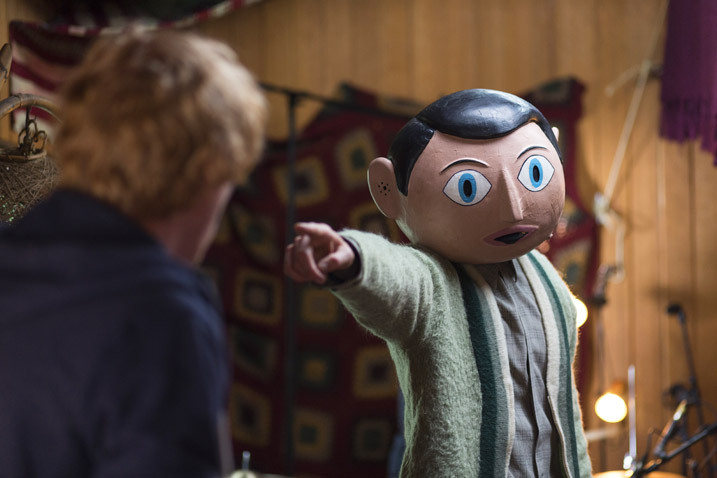 An eclectic black comedy surprisingly based on a true story, “Frank” tells the story of the weird and enigmatic titular musician, who never takes off a papier-mâché head. Oscar-nominated Lenny Abrahamson was able to give the movie its much needed direction and quirkiness that made “Frank” great, and most likely would have suffered if it was not handled in the same heartfelt way. Starring Michael Fassbender again in another difficult performance, Fassbender was able to make Frank a multi-faceted persona without ever showing his face, effectively utilizing dialogue and his hands to explore the full range of the character. Unseen by many, “Frank” is one Irish film that should not be underestimated for its powerful humor and performances. “Brooklyn” is not a ground-breaking film, but it is inspiring, moving and very funny, bolstered by its use of great characters, snappy dialogue and accessible experiences and emotions. Saoirse Ronan carries the movie as a sweet and determined girl from Ireland who moves to Brooklyn; her years of experience and slowly growing beauty make her an engaging protagonist in every scene. 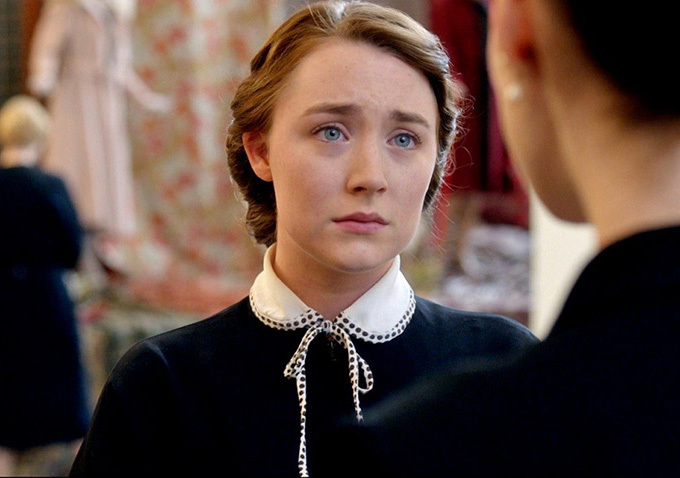 One of the best films of 2015 and to come out of Ireland in the past 15 years, “Brooklyn” reminds us why we want and like to go to the movies.